And four needles and six threads stitching way can be called the &quot;King&quot; on stitching field. While no worries,we will recommend the stitching depending on the jerseys style. In additional, we also provide service of sublimation printing on fabrics. Hem can be curved or straight at request. Zips can be remove or add at any place you want. But we can get any composition and fabric you want. We can make the pockets pouched, Kangaroo, for Tablet or any style you want. Any personal information received will only be used to fill your order. You can return or exchange your purchase up to 120 days from the purchase date. ,Ltd located in JiangXi Nanchang has more than 10 years of experience in garment manufacture and trade. 3. Q: Can Sample be free9 A: No problem, it could be refundable when order placed. 5. Q: What kind of payment terms you can offer9 A: T/T, Western Union, MoneyGarm, L/C, Paypal. 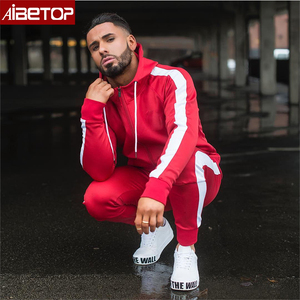 fleece tracksuit for men jogger set custom made sweat suits fabric accept customized fabric size us size ,uk size,jp size,au size,eu size are available. polyester and cotton, many other fabric available style addition to any one's wardrobe. such as s,m,l,xl,xxl printing water printing, rubber printing, sublimation heat transfer, heat transfer, flocking printing , applique, ,embroidery. Quality All our units of operation have one goal- that is to offer the best quality products to the esteemed buyers. We always keep our eyes and ears open to all sorts of innovations, that have been taking place in the market. While some of our clients order the goods except sportswear, so we expand our business line and provide more choices to our clients. This is made of high quality of cotton fleece along with 2 side pockets on hoodie and 2 poickets on trouser as well high quality of drawstring. And it's available in different colors,sizes and designs. As well giving you all kind of custom things. 2. Quality: Controlled by our professional factory QC 3. Contact with us : E-mail/phone us for more details . 4. Customer : Our Main customer from Australia, USA, UK,Canada, etc 5.Quotation : You professional details of the products will bring you our best quotation 6. Logo : Any kind of logo printing or design are available 7. Bulk production : The style or color may act according to customers specification. C:More Photos: Company introduction we are a professional supplier of t-shirts, with our rich experience and considerate service,we have been reconginzed as a reliable garment manufacturer by many international clients. shipping by sear, by air, by dhl/ups/ fedex etc. at your own demand and specification. 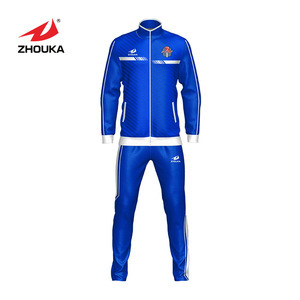 Alibaba.com offers 2,289 custom made sweat suits products. About 54% of these are training & jogging wear, 1% are boy's clothing sets, and 1% are boxing gloves. 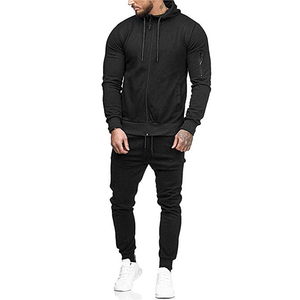 A wide variety of custom made sweat suits options are available to you, such as men, unisex, and women. You can also choose from 100% cotton, nylon / cotton. As well as from free samples, paid samples. 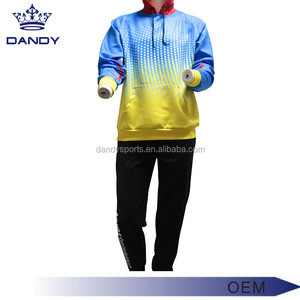 There are 2,289 custom made sweat suits suppliers, mainly located in Asia. 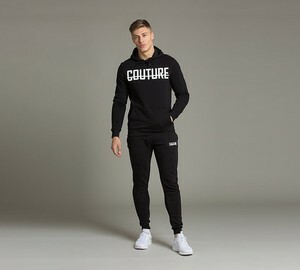 The top supplying countries are Pakistan, China (Mainland), and Bangladesh, which supply 63%, 35%, and 1% of custom made sweat suits respectively. 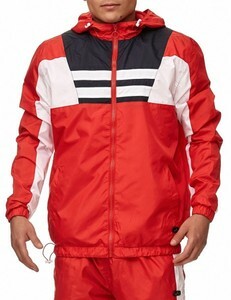 Custom made sweat suits products are most popular in North America, Western Europe, and Eastern Europe. You can ensure product safety by selecting from certified suppliers, including 113 with Other, 56 with ISO9001, and 20 with ISO14001 certification.